I think about often my travel in Vietnam which allows me to enjoy a little the warmth of your beautiful country! I really enjoyed the 15 days tour in Vietnam with you allowing me to discover a beautiful country with lovely people, without forgetting a very rich history. The rhythm of the trip was really well organized: always activities, but quietly, without haste and in a good humor! I also enjoyed the variety of activities: museums, markets, walks, swimming, festivals, cultural or religious discoveries. In short, there are all many reasons to say that I LOVE these 15 days of travel in your country. 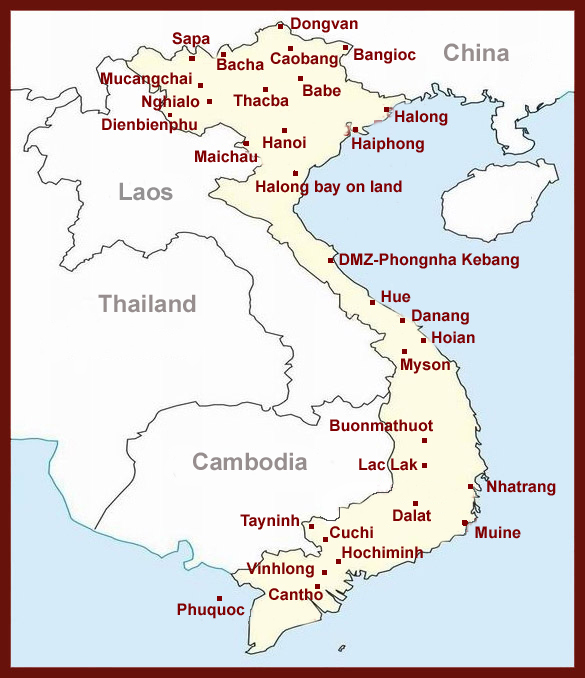 I look at myself when I will visit South of Vietnam and Cambodia??? It helps me to keep morale when i see my works to do in this morning! Thank you again for everything to organize this great travel in Vietnam, a trip was simply interesting. Thanks to Christophe and you! Page of our traveler Tag: . permalink .